June 27, 2018, 10:09 a.m. The return of hit ITV2 show Love Island may provide contestants with the chance to find romance – but for brands it is a great opportunity to appeal to a youthful audience. TV programmes often generate very specific audience profiles, giving brands affiliation opportunities that can generate powerful targeted marketing. 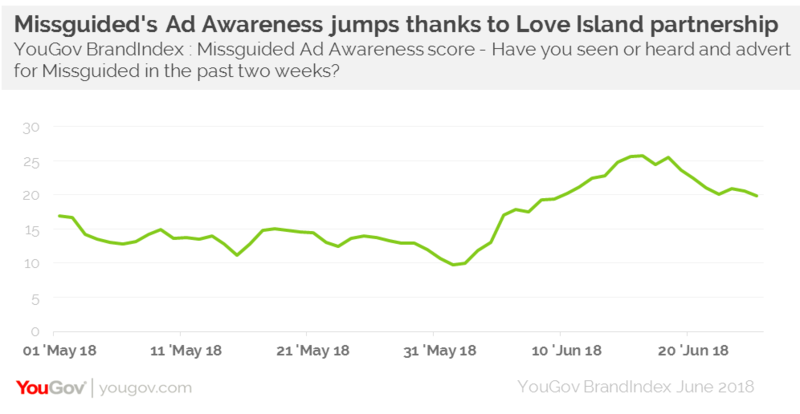 In this case drinks company Lucozade and cosmetics giant Rimmel have also introduced affiliations of their own, and have altered their advertising efforts to reflect Love Island’s character. One other brand that has particular success is Missguided. The fast fashion company has partnered with the show, with the islanders often sporting the brand’s garments while consumers are offered instant ways to purchase them as they see them (primarily through the company’s app). YouGov brand tracking data underlines how successful the retailer has been in raising its profile over the last few weeks. Crucially, among Missguided’s target demographic – women aged 18-34 – its Ad Awareness score has increased by 7%, jumping from 13% to 20%. And while its adverts are being noticed, the brand is being talked about as well. When we look at Missguided’s Word of Mouth Exposure score (whether people have talked about a brand with someone), we see a similar rise among this group, this time from +3 to +10. Added to this, what people are hearing about the brand is positive. Its Buzz score (whether people have heard something positive about a brand) has also grown in line with its campaign and association, up from 0 to +4 among women aged 18-34. 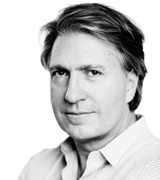 Of course, the programme is not to everyone’s taste, but it is undeniable that brands have a unique opportunity to appeal to target demographics in a very effective way by associating themselves with it. In Missguided’s case, this upturn in Ad Awareness and Word of Mouth scores can only help at a time in which the battle to secure market share among young female consumers is tougher than ever. We may see many more examples of this brand strategy in the future.